Ice Cream. That is about all I need to say about Ice Cream as I am sure that everybody knows just how good it is. Personally Ice Cream is a favourite and I don’t need much persuasion to have Ice Cream at any time of day. 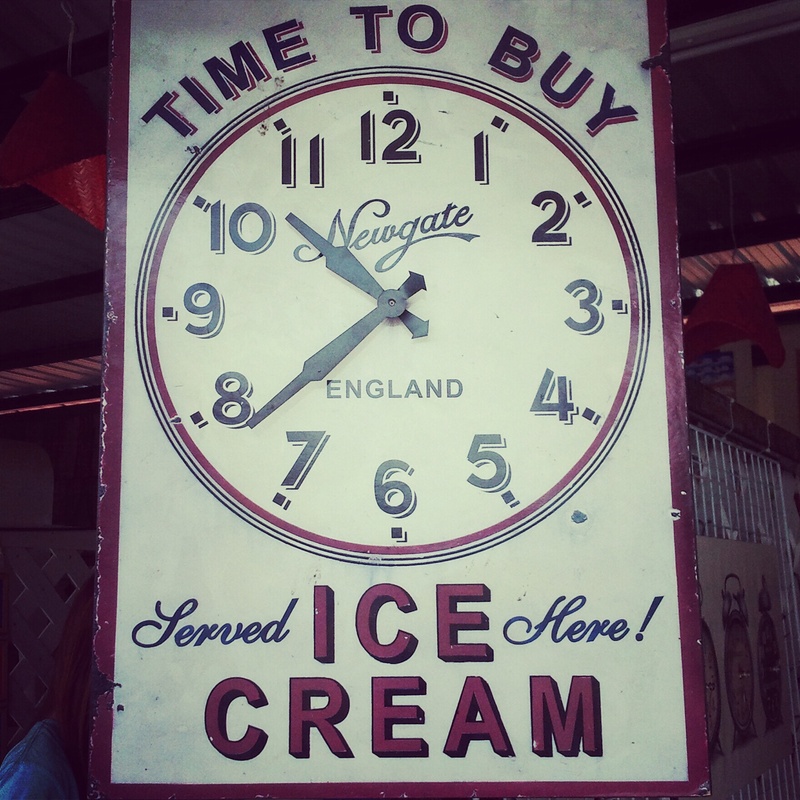 A perfect clock - it would always be Ice Cream Time! At the moment Bangkok is really hot with an average of 38 degrees most days so Ice Cream is a welcome, refreshing treat. It isn’t hard to find in Bangkok either from delicious coconut Ice Cream sold on the street for 10 Baht to cheap softserve at a fast food chain or a fancier treat of Ice Cream Sundaes from Swensens. 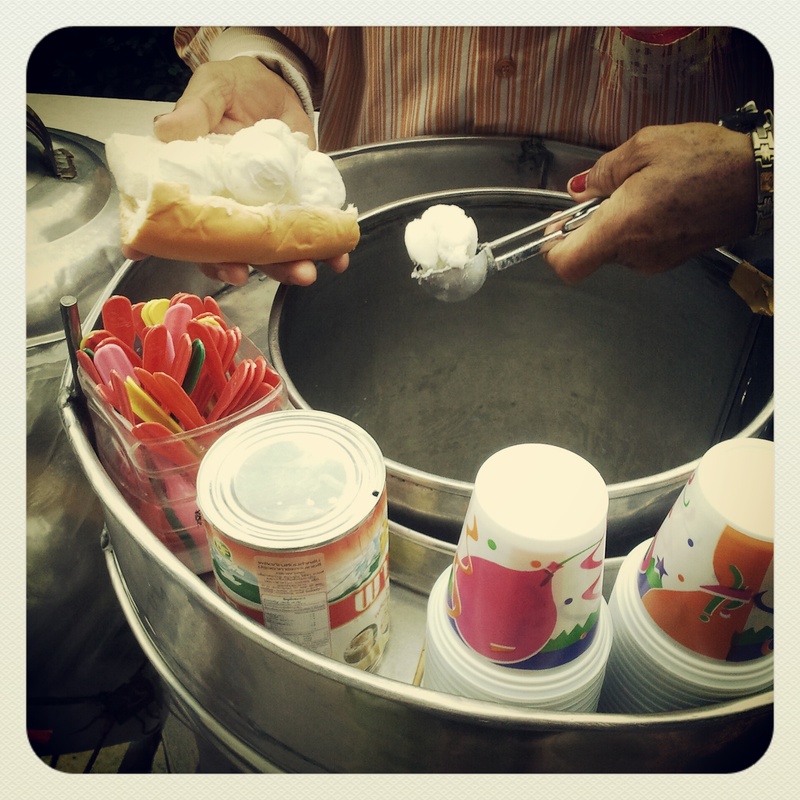 A Street cart vendor serving up coconut Ice Cream. 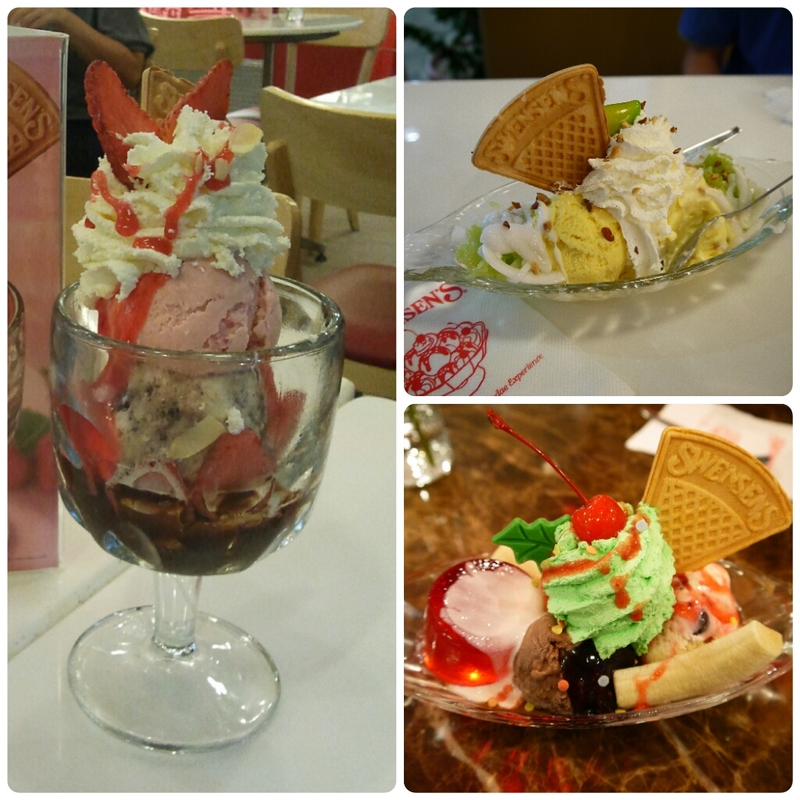 Delicious Swensens Ice Cream Sundaes.